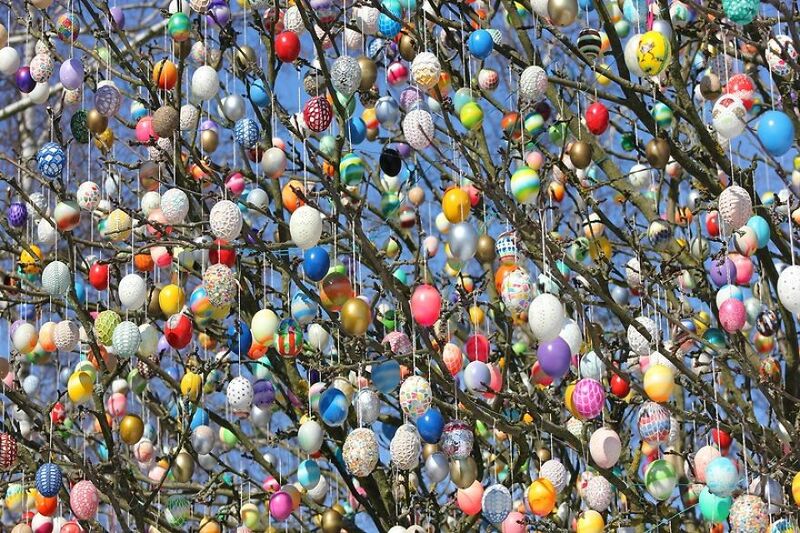 A German family spent more than 2 weeks decorating a tree with 10,000 painted eggs. 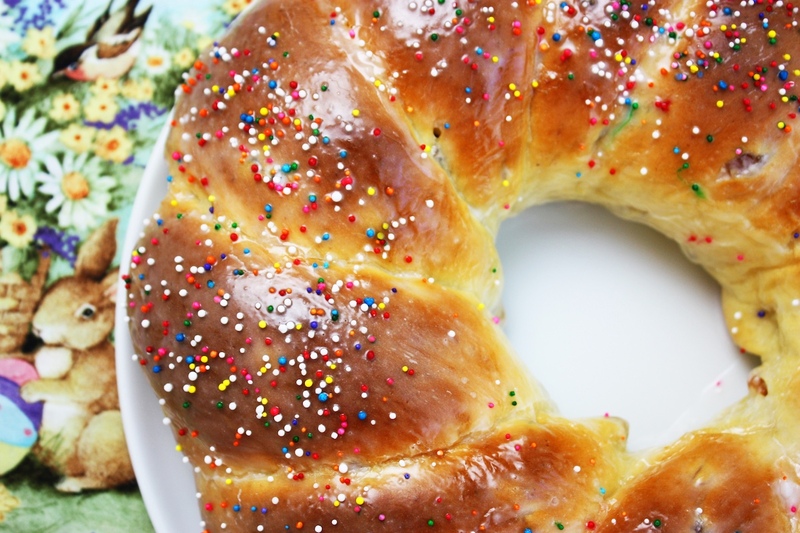 Making Easter bread doesn’t seem like that much work after all. 5 Comments on "Happy Easter 2018"
Do you ever make a mushroom Risotto? I am finding beautiful Spring mushrooms in woods need recipe. Hope you had a nice Easter Sunday…hugs…. 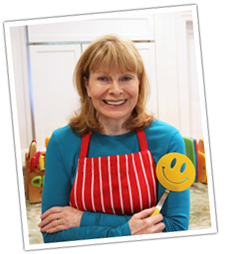 I just stumbled onto your website and can only say – “God Bless You”. I am Ukrainian – I speak and read the language. I grew up taking my Mom’s Ukrainian/Polish cooking for granted. In recent years I have wanted to ‘get’ her recipes, but she is 90yrs old, and quite forgetful with the details. I winged the cabbage rolls recently, and the second batch came out very well. The way I made them was VERY similar to your recipe. I like yours better because you place them all in a uniform layer – my Mom would pile them all into a large pot. Anyway, I do make beet bortsch, but had NO idea on how to make the dough for pierogis or for angle wings. Also, I did not have a true recipe for poppy seed roll. My mother would make it with the poppy seeds sold by Solo – it is a company that sells fillings, but I can no longer find it stocked in any of my local stores. I have fond memories of making angle wings. It was a HUGH family event. My father would roll out the dough REAL thin, and I would help with folding them. My mother would fry them, and all of us kids would sugar them and then stack them into BIG containers/bowls to take to a church event. Now I have the recipe. Again, THANK YOU from a Ukrainian kid with a partially Polish father. I could cry with happiness. I will try the cabbage dish/dinner. My mother used to make cooked cabbage with sauerkraut, fresh cabbage, carrots, onion and garlic. Simple but SO tasty. I think that I can now re-create this vegetable dish. Again, God Bless You for preserving the authentic Polish recipes. It’s good to know I have made a difference. Thank you. May you be blessed with everything bright and cheerful! !